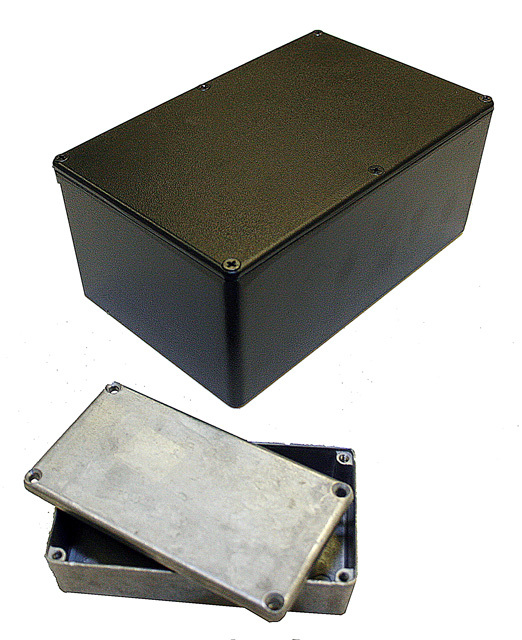 "Easily machined units useful as instrument and meter cases, filtered networks, junction boxes, switching, or any other function requiring a small enclosure." Close-fitted flange lids fasten to bosses in the body with counter sunk screws. 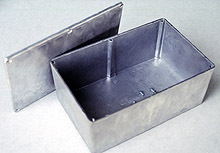 Aluminum alloy (380) offers excellent screening properties. 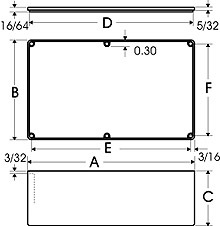 Enclosures are dust and moisture resistant. Available in plain or semi-gloss black.